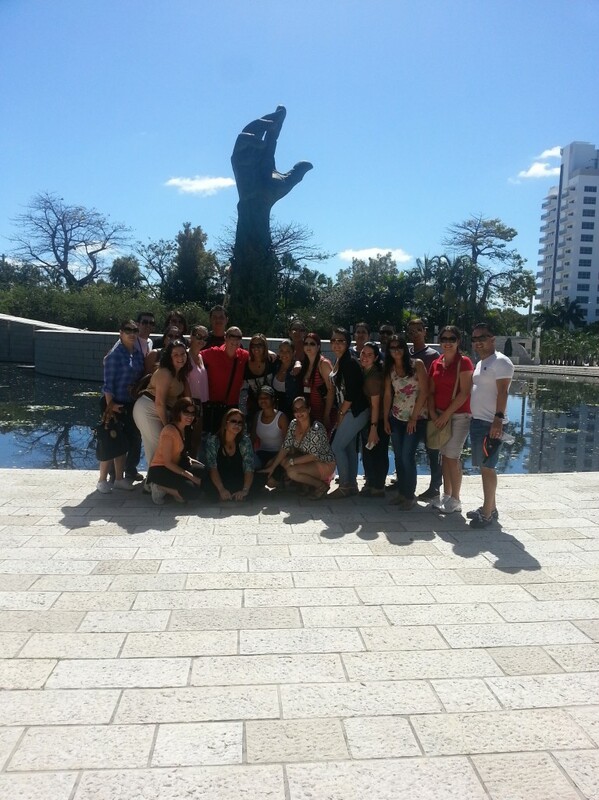 On February 18th, 2014, Professor Daylen Elosegui took her “Introduction to Ethics” class on a field trip to the Holocaust Memorial at Miami Beach. There the students met Mr. Henry Flescher, a Holocaust survivor. 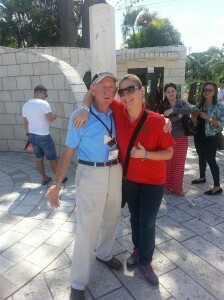 During the activity, students heard Henry’s narrative about his days at Auschwitz and Buchenwald. They were able to ask him questions and gather enough information for their research project. 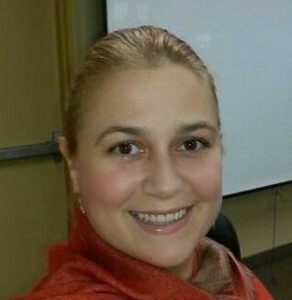 They were fascinated with the spirit and positive energy that this survivor revealed to them. In addition, they explored the memorial and, as spectators, they became part of this beautiful masterpiece. Here, the artist Mr. Kenneth Treister combined multiple arts to deliver a powerful meaning to the viewer, Life. The artist integrated architecture, sculpture, photography, music, and gardening to transport the viewer to 1945 Europe. 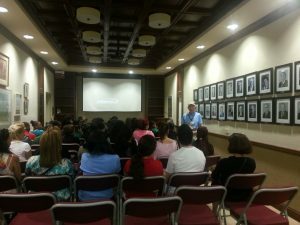 FNU students were part of a unique and life changing experience filled with enormous amount of human emotions, beauty, horror, and reflections. At the end of the activity, students were transformed, and with tears in their eyes, they thanked the survivor and the professor for such a cathartic experience. 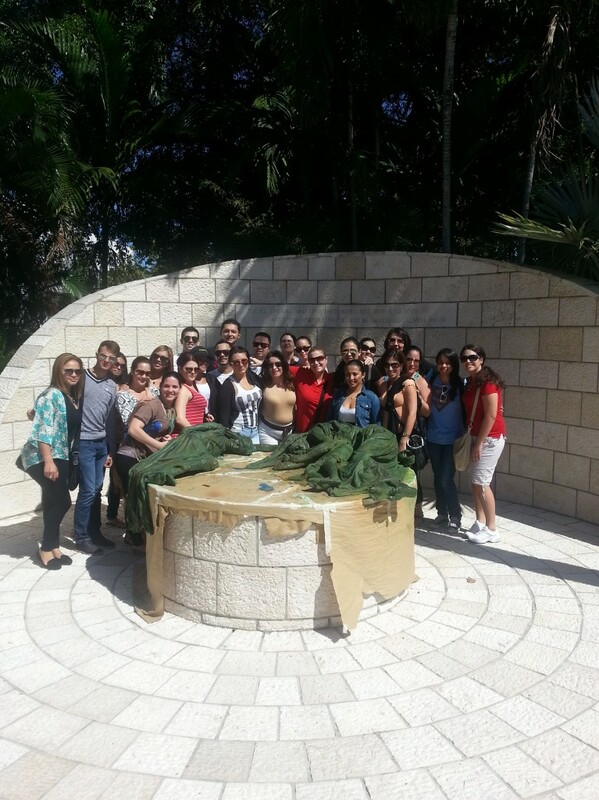 FNU students in front of the Garden of Meditation.